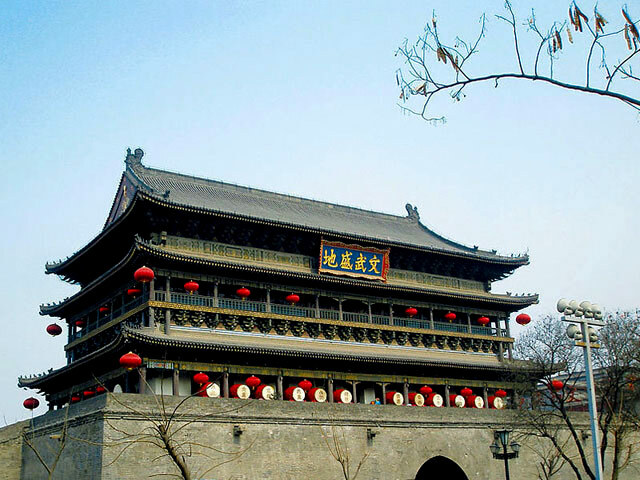 Located in the center of Xi’an city, with Muslim Quarter and Great Mosque in its north, Bell Tower in its East, Drum Tower was built in Ming Dynasty (1368-1644) and four years older than Bell Tower. 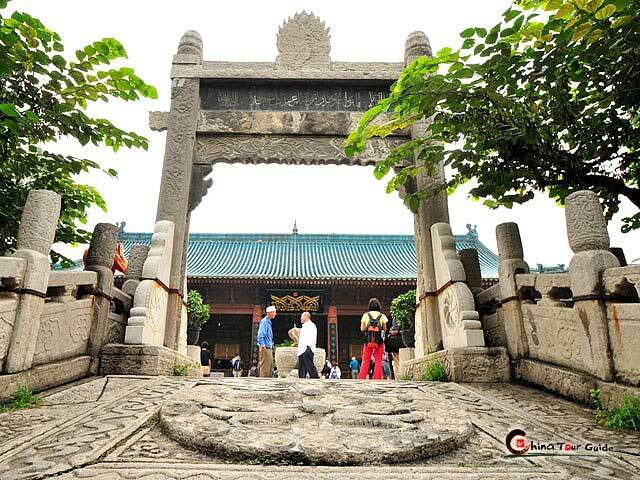 It is a two-story post and panel structure, 34 meters (112 feet) high, 52.6 meters (172 feet) long, and 38 meters (124 feet) wide. 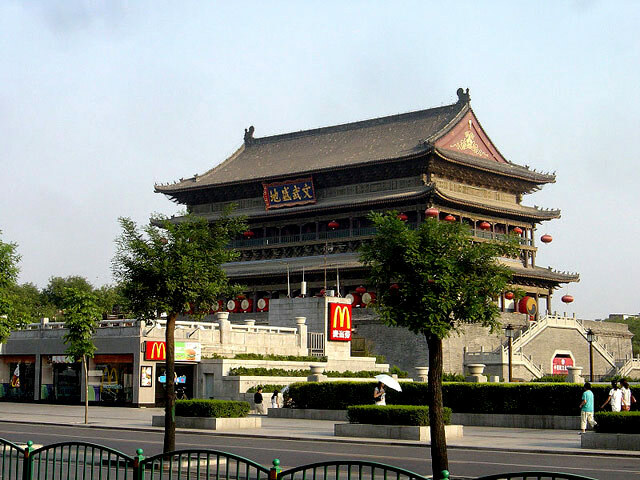 The architectural style of the Drum Tower is a combination of the styles of the Tang and Qing Dynasties. The Drum Tower also has some unique and innovative features. 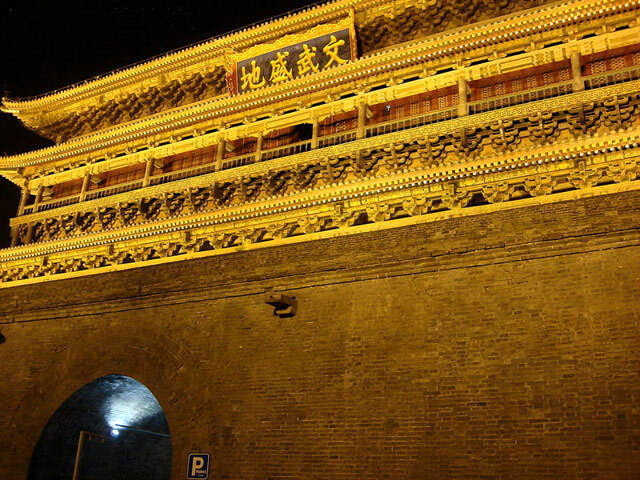 For example, there are no iron nails used anywhere in the Drum Tower. 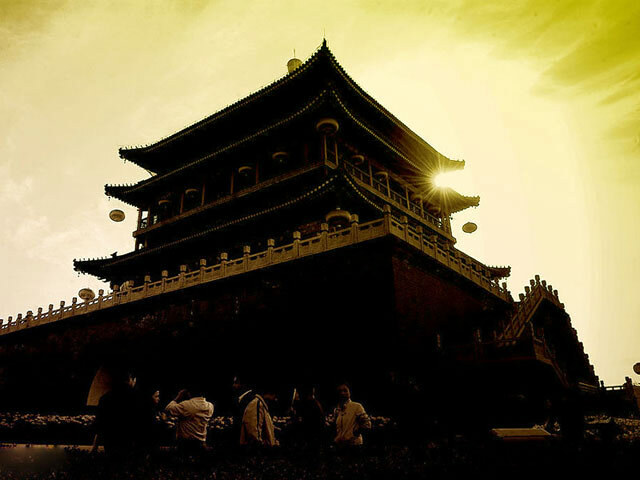 Another view of the Drum Tower When you hear drumbeat in Xi'an, it means night is falling. 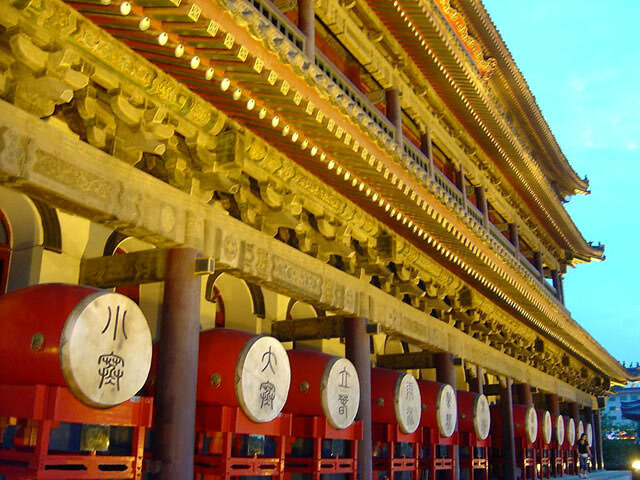 On the Drum Tower's first floor, lies a hall which hangs many large drums. 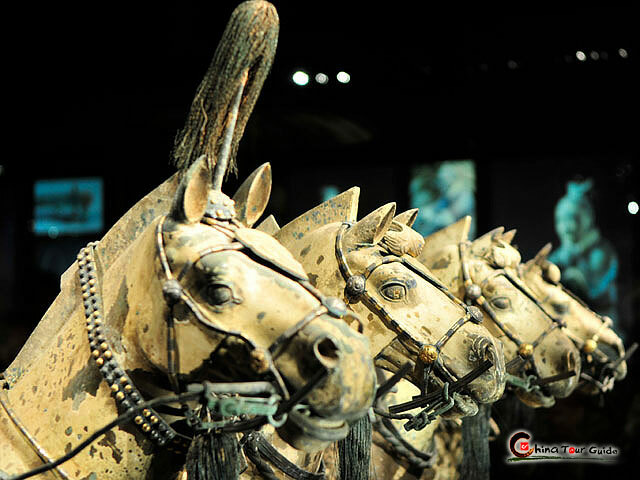 Each was decorated with intrinsic and beautiful Chinese writing, which symbolizes good fortune. The impressive arrays of drums are only on show and visitors are not allowed to touch any of them. 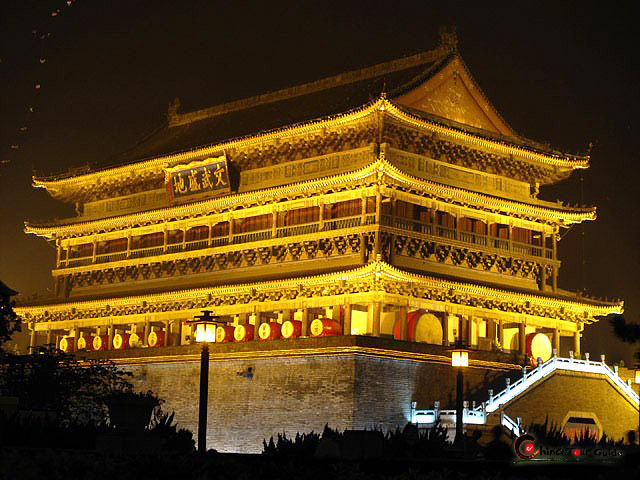 Inside the Drum Tower, there is also a drum museum, where a variety of drums is on display, some of which can be dated back thousands of years. There is a drum show performed here everyday. 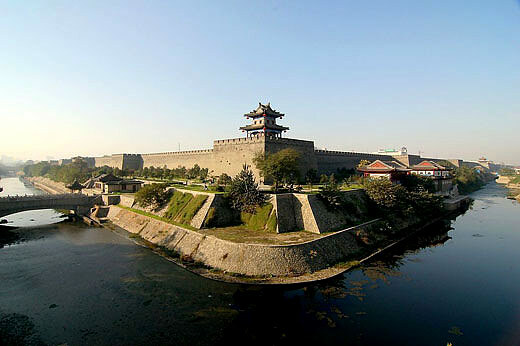 Visitors can go upstairs to the second floor and enjoy a panoramic view of the Xi’an city. 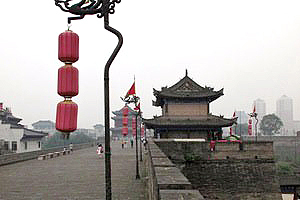 While exploring the tower, you will notice that there are twenty-four drums in the north and south sides of the Drum Tower. These drums stand for the Twenty-four Solar Terms, which is a kind of weather calendar created by ancient Chinese in order to guide agricultural production.